Hiking in Florida affords an onslaught of lush landscape, but in the dry winter months, all shades of brown rule. As spring dawns, the greens return and the colors alight. 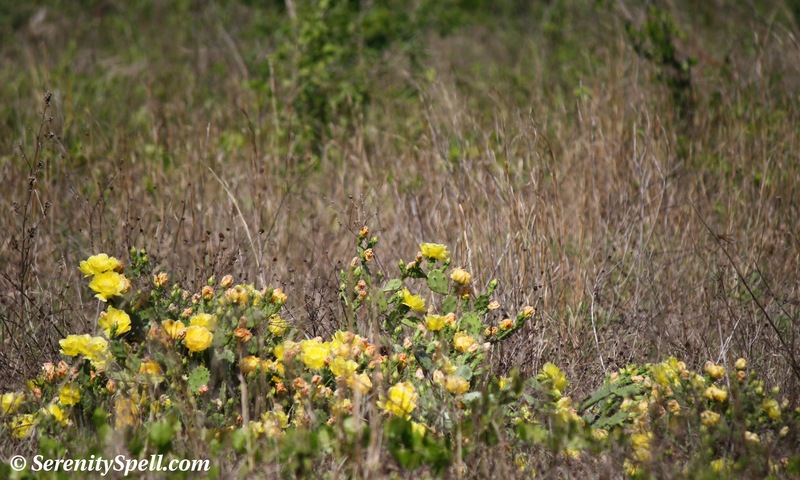 During our recent venture to Broward County’s Fern Forest, a magnificent 247-acre conservation site and wildlife refuge characterized as “the last remaining stronghold of ferns in southeastern Florida,” we witnessed a barrage of yellows and oranges (the colors of the day, as my mind flashed to an episode of Sesame Street). 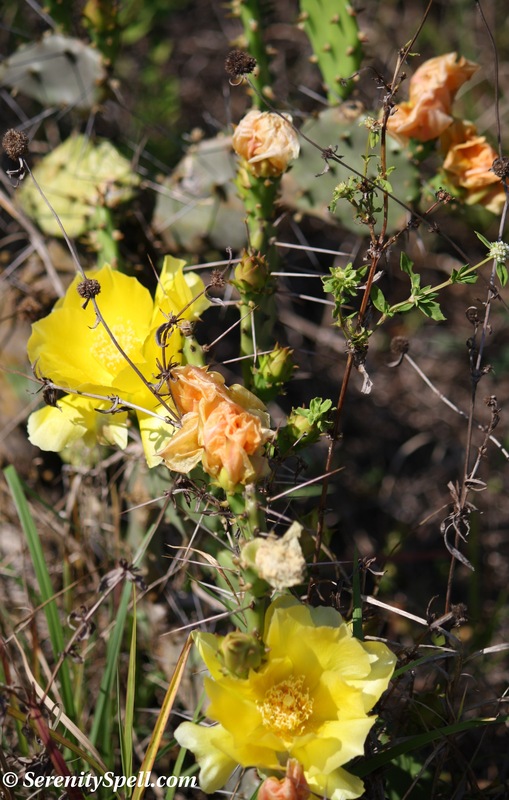 This beautiful and diverse natural area represents the last remnant of the historical Cypress Creek floodway — which today, remains a significant refuge for wildlife in a highly urbanized region, encompassing ten plant communities, including tropical hardwood hammock, open prairie, and cypress-maple swamp. 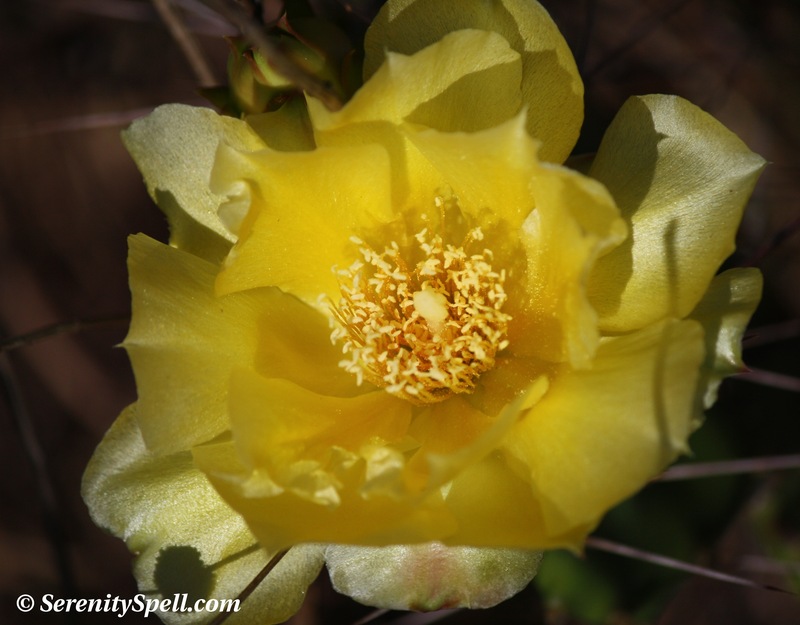 After leaving the shaded canopy of the Prairie Overlook Trail — the shade of which was already much appreciated with our rapidly rising temperatures — a riot of bright yellow Prickly-pear cactus blooms greeted us in the open prairie. 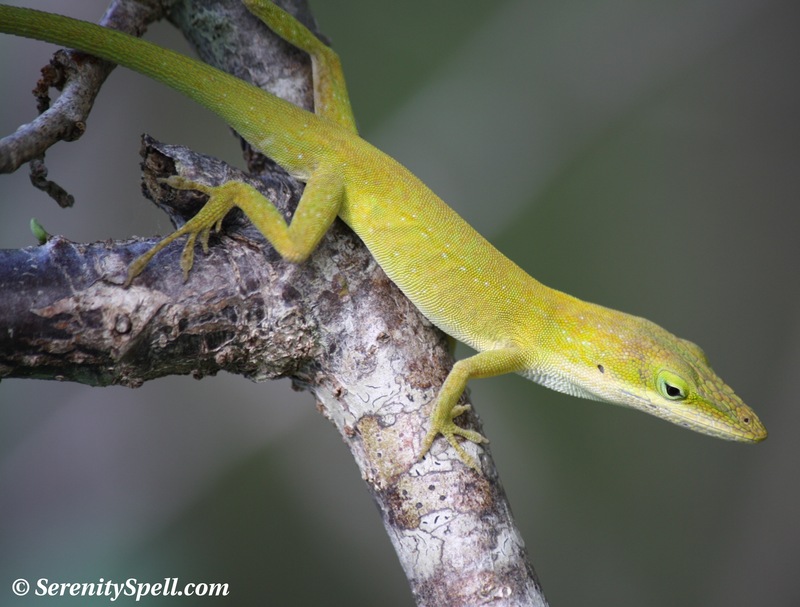 And upon our departure from the Cypress Creek Trail (a wonderful boardwalk), we spied a rare yellow anole (aka yellow-phased green anole); unfortunately, anoles with this unique color mutation don’t usually live long in the wild, as the green coloring offers them valuable camouflage for hunting prey and hiding from predators. See, you’ve brightened my day, FeyGirl. 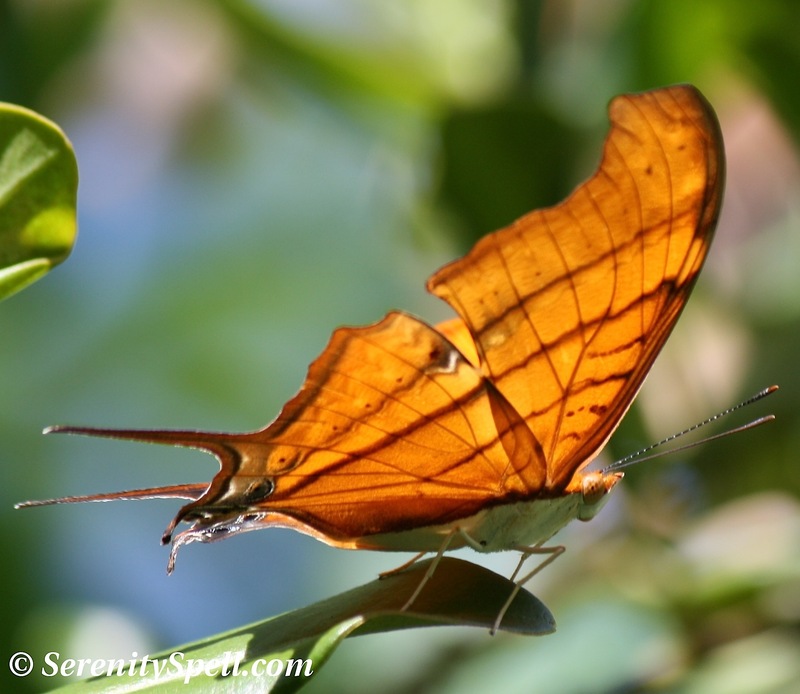 Isn’t that butterfly beautiful. Do you know what it is?